The Cast-in-Place panel is a great long-term solution for any project or climate. 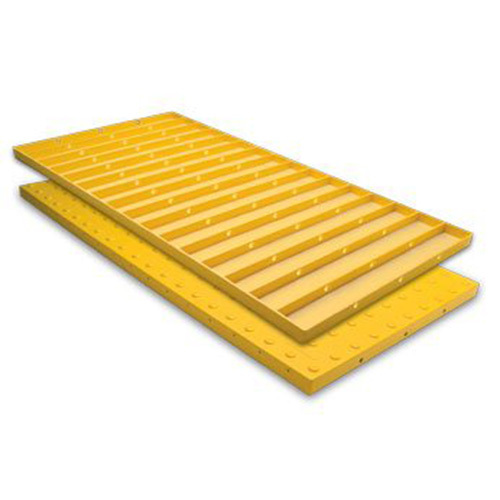 Made with a durable exterior homogenous glass, carbon, and fiberglass reinforced composite material; the thick, heavy panel and sturdy embedment ribs ensure a strong bond and superior structural support. The Cast in Place Tactile Surface is made of a colorfast and UV stable homogenous glass and carbon composite with fiberglass truncated domes for enhanced durability. 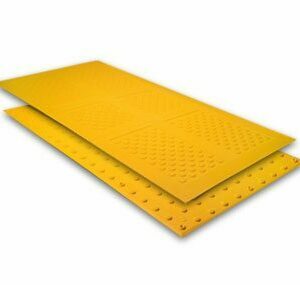 The Cast in Place Tactile Surface is used for new curb ramps or new construction applications and is a great long-term solution for any project, under any weather conditions. All of our truncated dome tactile surfaces are in full compliance with the American Disabilities Act Accessibility Guidelines (ADAAG), Public Right-of-Way (PROW), and California Title 24 Requirements. ADA Solutions Inc. products are approved for use by all major municipalities, DPWs, and state DOTs.